This is a more modern piece of Daum glass. 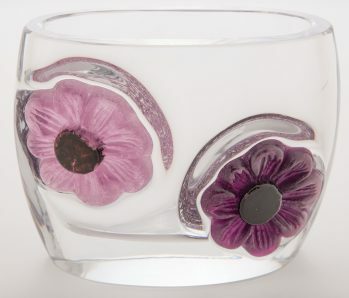 It is clear cut glass with two pate de sur purple flowers. 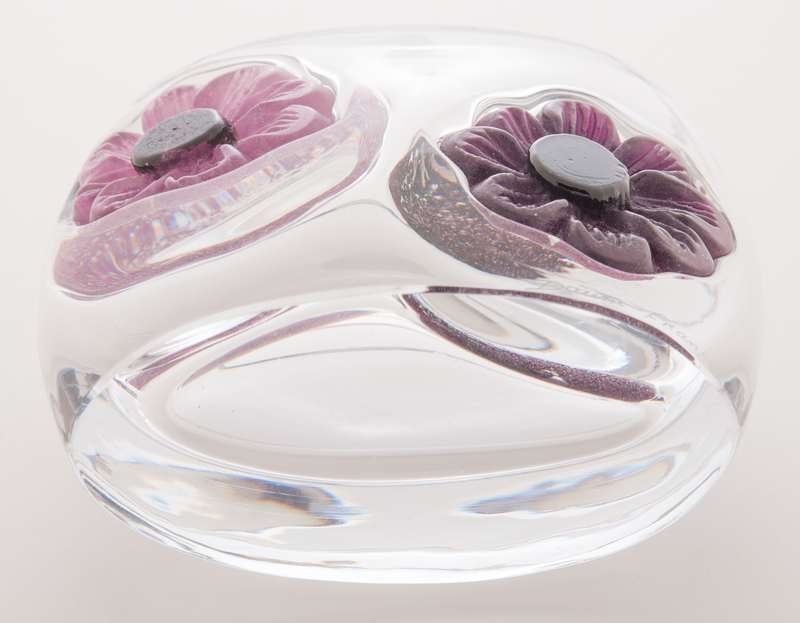 The vase is in a pillow form. Etched signature of "Daum France" on side near bottom. 4 inches tall.